Today’s featured staged home is staged by Showhomes of Santa Fe, an award-winning franchise staging company located in Santa Fe, New Mexico, as part of the Showhomes family. This 3,658 square feet, 4 bedrooms and 3.5 baths home is located between Santa Fe and Albuquerque, in the Las Lagunitas neighborhood in South Santa Fe. The gated development lends itself to a very unique buyer as it is not in close proximity to downtown Santa Fe. It was sold for $539,000. This house had gone through repairs and renovations before it was staged. The seller did some minor repairs and had the entire house repainted. It is a rather spacious home, with a master suite, brick flooring, square vigas (A viga is a rough-hewn roof timber or rafter, especially in an adobe building. ), a large portal that adds to the extensive backyard, along with a upper deck that would make the best stargazing spot, and the living rooms & dining room are open and airy. The main challenge of staging this house was its size. It was a large house, especially the master suite! 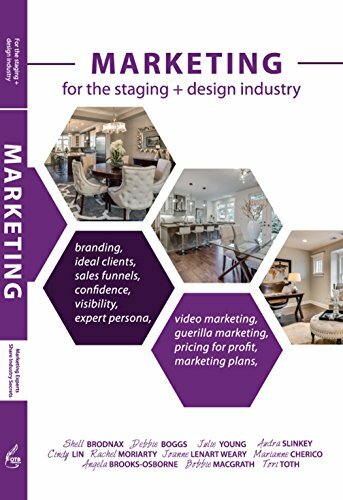 The living room was also an awkward layout so the staging team had to figure how to make it impactful when buyers first walk through the front door as there was not much of an entry/landing area. The staging team simply created more "living" spaces within the same room. They placed extra chairs and tables, so that the lost corners had functional, yet inviting living spaces. The paint color of the house was a bit dark as Macomber did not select or recommend the color, so she wanted to lighten it up without taking away the warmth of the place. The common area rooms are so large that the team needed to create spaces within the space. It feels very big and open and the team wanted to continue this flow by using low back sofas and chairs. The team loved the openness of the property and how it captured a contemporary southwestern look of Santa Fe. Their favorite room was the living room, which you see when you first walk in. The fireplace certainly captured the attention so Macomber knew she had to make that the statement part of the room. Because of the sheer size of the living room area, Macomber wanted to enhance the room without going too bland with the "traditional" look. Luckily at the time, Macomber’s two grey daybeds from Four Hands were in their inventory, and she designed and brought together the look around those daybeds. Macomber wanted to capture the contemporary southwestern look, so the team brought in one of their trophy Elk antlers and had it suspended from the ceiling in front of the fireplace to give it a dramatic look. Half of the tables you see in the pictures were handmade by Macomber’s husband, Brandon, and the team incorporate his pieces in the staging to give it a more customized feel & look. Today’s property is staged by Elisa Macomber, Showhomes of Santa Fe. Showhomes of Santa Fe has been in business for 3 years now, approaching their 4th year this spring. The company services Santa Fe, Los Alamos, Tesuque, Pecos, Cerrillios, and Pecos areas. 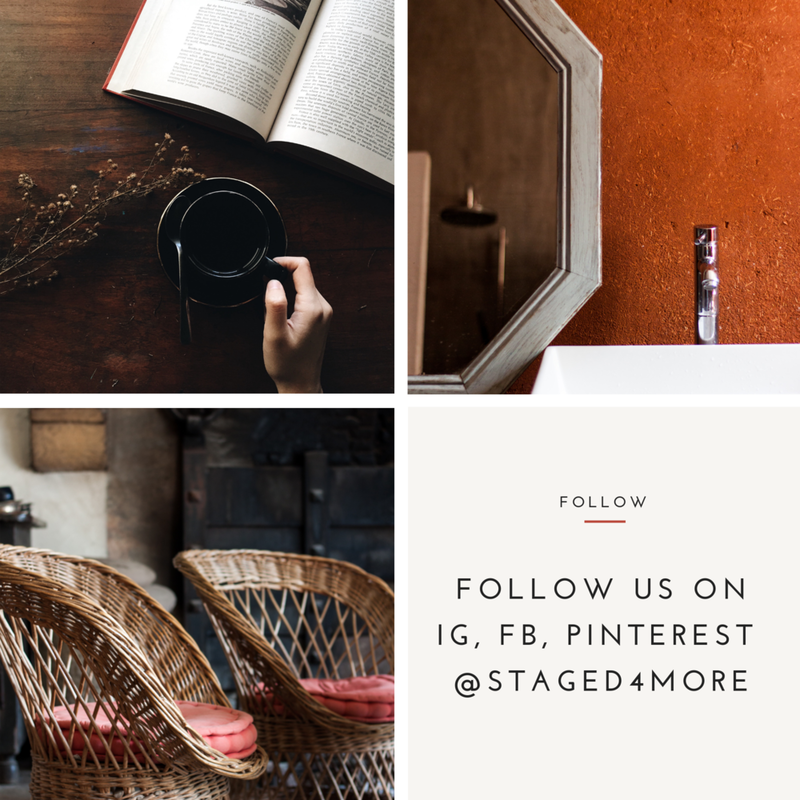 Connect with Showhomes Santa Fe on Facebook, Twitter, Pinterest, Instagram. Property photos by Marshall Elias Photography.